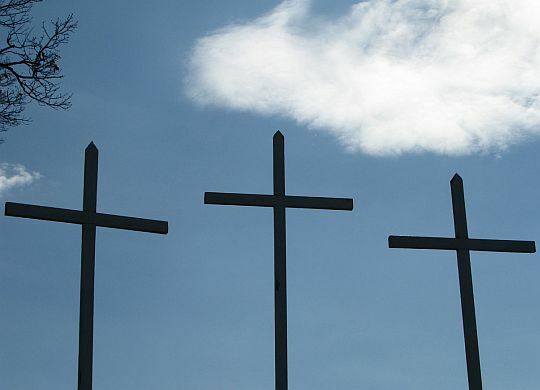 It’s Easter, the holiest time of the year when Christians celebrate the two defining events of the faith: the redemption of sin paid for by the Savior’s death and the promise of eternal life heralded by His resurrection. During His last week on this Earth, Jesus spoke often of the basic message of the Gospel—that we love God and we love one another. And yet, Christianity, based on these simple teachings of kindness, finds itself under attack around the world. It is time for Christians to stand up and demonstrate our beliefs in a powerful way, showing a doubting world that love is greater than fear and faith is stronger than cynicism. We need to be actively and aggressively engaging in acts of kindness, doing as Jesus would have us do—tending to the needs of the poor, forgiving those who have offended us, and living lives of active faith. We may not save the world in the process, but we will certainly save ourselves. We need to be actively and aggressively engaging in acts of kindness, doing as Jesus would have us do—tending to the needs of the poor, forgiving those who have offended us, and living lives of active faith. On the night before his crucifixion, Jesus spent time with his disciples talking about life and death and the promise of eternity. He called them His friends, and He promised them that if they loved Him and kept His commandments that He would answer their prayers and that He would send a comforter, the Spirit of Truth, to be with them always. And then He told them, “These things have I spoken to you, that my joy might remain in you, and that your joy might be full.” These are promises that are available to us today just as they were to the disciples so many years ago. Imagine—if we love Him and keep His commandment our joy will be full! Easter is the perfect time to recommit ourselves to the essence of the Gospel, to reach out in love to those around us, to serve the poor and forgive one another. May His joy remain in us and our joy be full. AMEN! What a lovely Easter message. I’m thankful that people brought the message of Christ to ME when I was young, and that I grew up in a Christian home. It’s great to be able to spread the love of Jesus Christ, and serving with The Fuller Center is a wonderful way to do that.